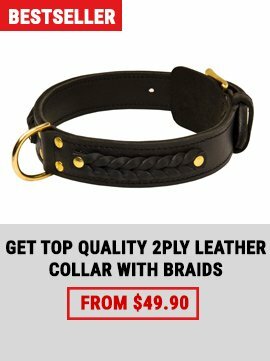 Summer will come soon and you want to change a collar for your doggy? You want something new, something extraordinary and time-proof at the same time? You want your pet to be a “number one” and stand out from his four-feet friends? Your wish is a must for us! 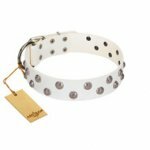 All these wishes can come true with our Professional Dog Collar Store. All dog tools, available in this online shop are the key of a happy, healthy and comfortable life of your beloved dog. 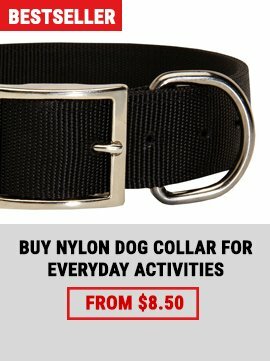 Here you can find dog collars of any kind, size and color. 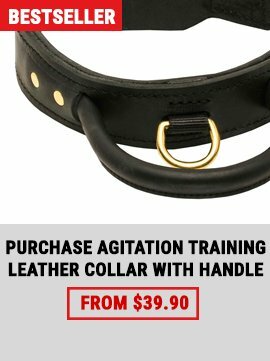 There are nylon, leather or chain collars, walking or training collars, decorated or classically designed collars, and other collars for performing different activities. I’m sure, it will become your favorite tool for controlling your pet. And be ready for increased attention to your dog! Have you ever seen dogs walking their handlers? Sometimes it seems that some people motivate themselves to run in the morning with a help of a disobedient dog. Hardly have they ever become sportive but they always look so funny chasing after their dogs. So how to show a pet that there is only one direction he may go, and it is - after his handler? German innovators developed a useful device For Dog Obedience Training without a professional trainer and created Sound Character Trainer. This Leather Collar Is Made With 2 Rows Of Symmetrical Proportional Spikes That Help Bring Out The Beauty Of This Hand Crafted Creation. Available In Tan, Brown or Black Very Strong and Thick Perfectly Oiled and Selected Leather.